As well as a special company! 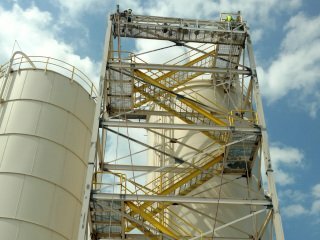 Industrial and commercial structures have special coating and maintenance requirements, and Painting Contractors Alabama has the right solution for the surface. 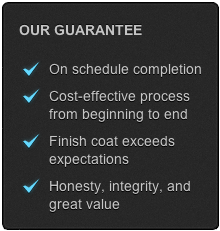 Whether the substrate must endure a harsh environment, withstand frequent cleaning, or if its coating must be free of impurities, we have the expertise and precision to handle the demands of your industrial and commercial painting and coating projects. We can protect industrial structures as well as addressing your epoxy floor coating preparation and painting needs. Industrial Painting requires an extensive knowledge of many different paints and coatings. Painting Contractors Alabama, has earned many repeat customers by successfully painting industrial projects in the following areas. Commercial painting services have included painting the interior of rental companies, schools and government offices. From retail space repaints, to annual building maintenance, Painting Contractors Alabama has the correct painting solution for your commercial project. We specialize in the application of various protective coatings that are extremely resistant to the elements and can endure high traffic – all while still providing an aesthetically pleasing look. Whether you need painting services for a single unit tilt-up, or a large commercial complex, Painting Contractors Alabama will fulfill the project requirements within your budget.